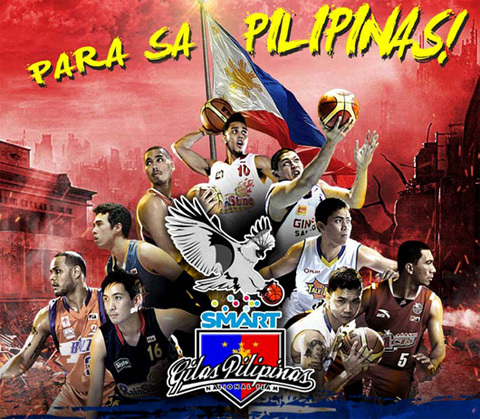 As the mens basketball game event continues in the 34th edition of William Jones Cup, I am now here to deliver you who completes the winning team of Smart-Gilas Pilipinas 2.0. The head coach himself, Chot Reyes announced who're the 14 players currently won 4 consecutive games in William Jones Cup 2012. Below are the complete list of Smart Gilas 2 Roster Players for Jones Cup 2012. With this powerful players combine, hope they will win this years championship on William Jones Cup 2012. Let us all support our very own Philippine team in this event, simply share this post to your friends on Facebook, Twitter and Google+ so Filipinoes all over the world will know who are the players making names in the Jones cup. Comments or suggestions about "Smart-Gilas 2.0 Players for William Jones Cup 2012" is important to us, you may share it by using the comment box below.